When you are marketing to other businesses, most people are focused on the marketing strategies that have the least payoff. 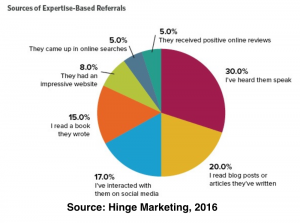 The average company is only getting 8% of their leads from their website. Social media is driving 17%. However, most of the leads come from a live speech or through media. When you focus your money and energy on the channels with the lowest ROI, you are likely to get frustrated with your results. After the two decades that I have been in sales and marketing in B2B space…this has NOT changed…and it never will. 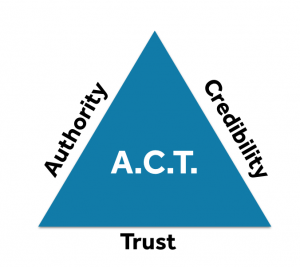 You must have Authority, Credibility, and Trust in B2B. There are three main ways to position yourself and your company as the leader in the market. These are powerful in many ways. When you get asked to speak on stages that you know would be great for your business, do you immediately wonder how you will fit it into your hectic schedule? Do you have an employee incentive plan that was set up to encourage them to speak at conferences for the business and they still don’t know how to do it? Many founders have built their businesses by being the face and the voice of the brand. It works. You might be speaking on stages or getting asked to be featured in an article that makes you an instant authority. Over time that gets harder and harder to do. Your time is spent on many other activities that only you can do. So you might be turning down opportunities because you don’t have someone that you trust enough to take those moments and rock them as you would. Have you wondered how you can contribute more to the growth of the company with your expertise? Have you attended a conference and been frustrated that you could be giving a speech that would drive sales or partnerships for your company? Do you want to develop your own skills that would make you even more valuable to your company? Some employees are eager to accept new opportunities and develop new skills that would allow them to contribute in a profound way to the company growth. One huge barrier is the need for guidance on how to do it. This means understanding the strategies. Creating the plan. Developing new skills. And doing the work. In other words, you would do more if you had the clarity of what to do next? You don’t have to turn down the opportunities. On top of that, your company can generate even more ways to share the company message and establish more authority at the same time. You can engage others to help you in building brand awareness and brand demand. You can develop proactive strategies in the key areas that allow you to expand into new areas for the company. The best part is you don’t have to do it all yourself. You can certainly take the ones right for you…but you can have people on your team that want to contribute more to the company growth by speaking at industry events and working with the media to position your business as the credible, trusted advisor to your audience. 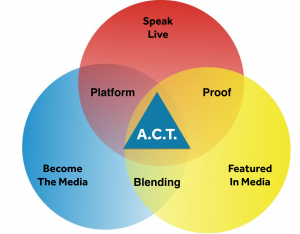 The “bridge” should also include the training to get on the stages or get connected with media that allows a PROACTIVE approach. If your business gets more requests that it can handle, you might not see this as important. However, you might want to have a PROACTIVE approach to finding the best opportunities with the highest ROI. If you are not getting enough requests…you really need it. Your emerging leaders and SMEs can now learn the skills to get on stages and how to leverage the press that positions your company as THE choice, not a choice in your market. Your company creates and empowers “brand ambassadors” to share the message in the RIGHT way. Let me be clear what I mean by “Brand Ambassadors.” Companies like Google, Facebook, Salesforce, Microsoft and more select employees that are skilled at sharing the company message on stages and leveraging media opportunities and give them the training to make the most of those moments. I like to call these employees “Internal Brand Ambassadors.” They are YOUR employees that are speaking for the company and representing the company to increase visibility and accelerate authority. You’re on the verge of making big things happen for your business and your team. You’re about to enter a world where emerging leaders are activated to spread your company message into your market. With specific strategies and insights on how to get the right message into the market, you can position your business as a leader in your industry. Move your team members through the stages of the pyramid all the way to “Empowered Brand Ambassadors” so that they can speak on conference stages, engage the media and create their own IP that positions the company as a thought leader within your industry. Many companies have incentive plans that compensate employees to participate in brand building strategies, but the employees don’t have experience or training to develop the skills of brand ambassadors. And over the next eight weeks, you’ll UNDERSTAND and LEVERAGE the key elements of your Brand Ambassador Plan. “Creating Brand Ambassadors” is a one-of-a-kind program that incorporates world-class strategies to guide your emerging leaders to be seen as thought leaders to your ideal prospects. 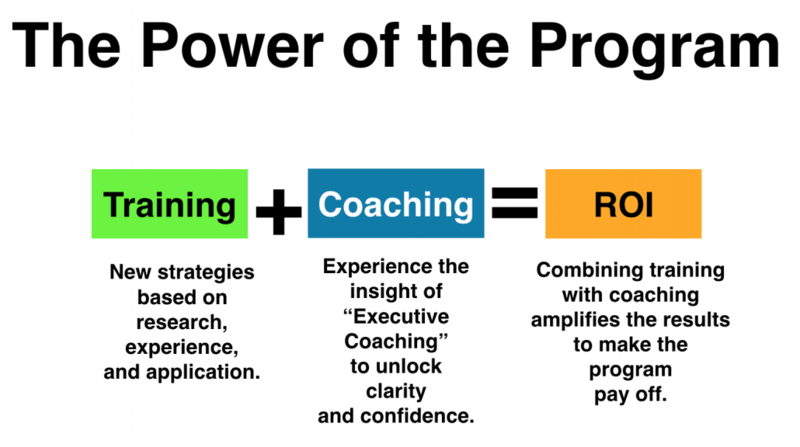 In addition, it has one unique aspect where strategic training is combined with the power of executive level coaching. This combination unlocks the courage and confidence that allows your emerging leaders to implement new strategies to contribute more to company growth. Create a roadmap to more authority and increased influence in 8 weeks that your emerging leaders can use. Your team will learn key strategies to become Internal Brand Ambassadors that can speak at conferences and leverage the media to position the company to market leadership and increased opportunity (high-quality leads and strategic partnership). Create: What is your content plan…what do you say? What to do to get attention for your work – the law of 80/20 rules here (and is the power of all content distribution); Successful writing is more like a what a professional speaker does instead of a journalist. 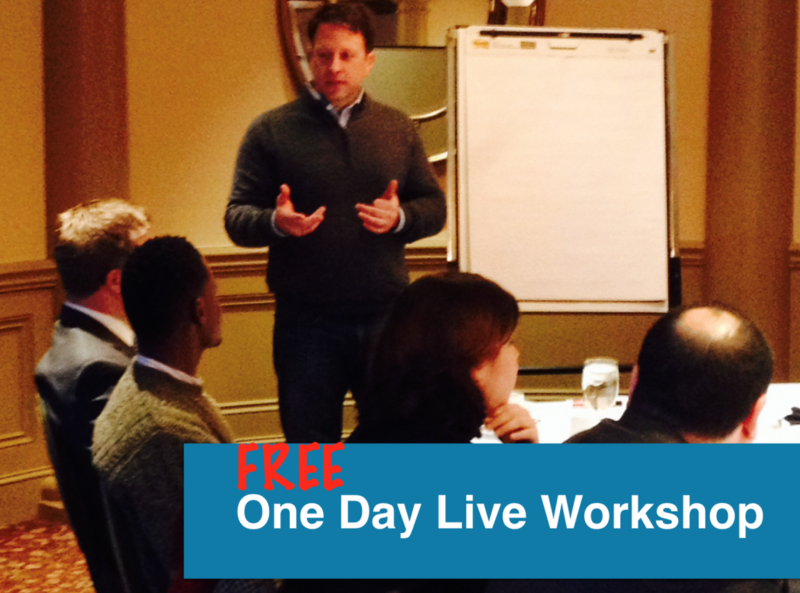 Because I what this to work for you, you get a free seat at my next one-day workshop where we fine-tune the strategies and deepen your skill level. The next “Creating Brand Workshop” is in January 2018. Use “Create Brand Ambassadors” for up to 90 days, risk-free. If you do the work and don’t get results, simply let us know. 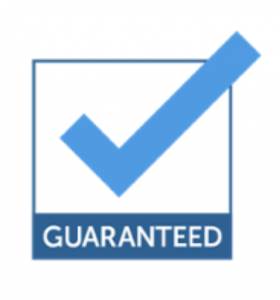 This is our 90-Day Money-Back Guarantee. I am that confident in this program.